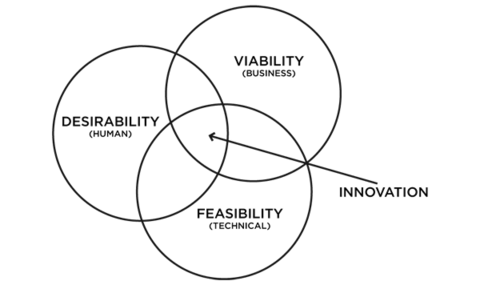 desirability + feasibility + viability ≠ sustainable innovation. What do we miss? The problem is that when it comes to sustainability these questions are not enough. While questions on desirability, viability and feasibility can help products like the new iPhone hit the jackpot, they give flawed direction at best on how to make them more sustainable, as they are still a manifestation of a ‘business as usual’ mindset, where sustainability play a very small role. As a result, while each phone may show improvement in some green aspects (for example in terms of GHG emission reductions per phone — from 67 kg in iPhone 7 Plus to 57 kg in the iPhone 8), there is no consideration whatsoever of the systematic planned obsolescence embedded in its design and what it means for society and the environment. Let’s face it — when it comes to sustainability the Venn diagram above just falls short. 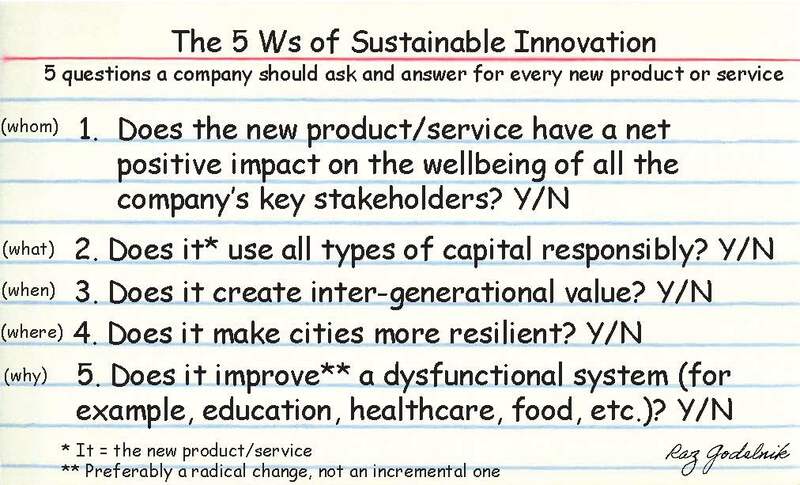 To achieve sustainable innovation we need a new set of questions, which will go hand in hand with the old ones. 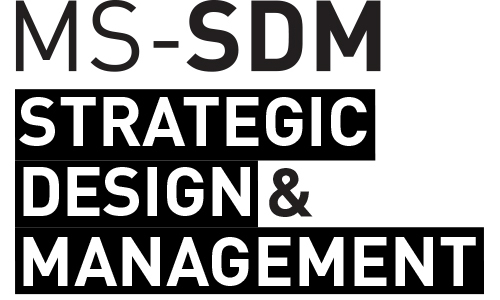 In this case, since the goal is to generate a sustainable innovation framework that could be applied to any new product or service, we need to think on a relatively simple framework that won’t require generating a long CSR report for every new product or service. We also want to enable stakeholders to evaluate the answers in a relatively simple way to make the whole process valuable and not just another pointless exercise in corporate social responsibility. My inspiration comes from Harold Pollack who wrote simple personal finance advice on an index card, showing that guidelines for responsible financial behavior can be simple and straightforward. I believe that so can be the guidelines regarding sustainability companies should consider when they work on new products and services. If a complex issue like personal finance can be simplified into ten rules that can be scribbled on a small index card, why not sustainable innovation? In this case though I am going to frame the guidelines as questions to enable companies to answer YES or NO for each one of them. 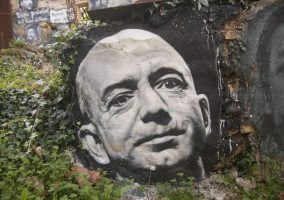 The idea is to add accountability to the guidance by forcing companies to provide a clear and simple answer on where the new product/service stands. 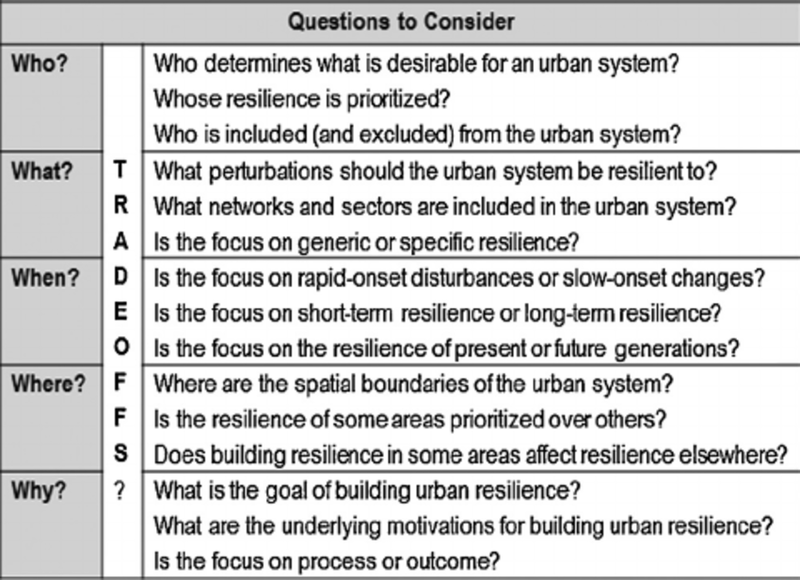 To choose the ‘right questions,’ I follow the lead of Meerow and Newell’s holistic approach to urban resilience by considering the five Ws of urban resilience: resilience of what, to what, and for whom? According to the Meerow and Newell, the five Ws questions “bring the politics of resilience to the forefront by encouraging the explicit recognition of politicized decisions, scalar dimensions, and trade-offs inherent to applying resilience empirically.” Thus, using the five Ws framework as a starting point can bring both the necessary gravity and a more systemic context to avoid the ‘change as usual’ discourse, which is so common in sustainable innovation. For whom? This is simply about who is going to benefit from the new product/service. A more holistic and stakeholder-centered approach to innovation requires companies to consider all their key stakeholders, including society and the environment and what the net impact its new product/service has on them. Bocken, Rana and Short’s value mapping tool can be used to evaluate the value created and destroyed for each one of the key stakeholders. While determining whether the net impact on each stakeholder is positive or negative can be a messy process, it is essential in order to give companies a way to truly understand and evaluate their impacts on stakeholders. I also believe it is essential to make it clear that companies cannot claim for positive stakeholder impact, unless all of their stakeholders are indeed positively affected by the new product/service. Otherwise, we’ll keep having new phones that have lower carbon footprint, but at the same time help make planned obsolescence the norm. 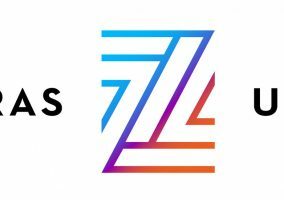 Question: Does the new product/service have a net positive impact on the wellbeing of all the company’s key stakeholders? Of what? The What question will be used to focus on the different types of capital used to produce a new product or service — what are they, how they are used and whether we can consider this use responsible? The Cradle to Cradle (C2C) design process (inventory, assessment, and optimization) and principles (material health and reutilization, renewable energy, water stewardship and social fairness) can provide some guidance on what responsible use of various forms of capital mean (another resource is Forum for the Future’s Five Capitals Model). 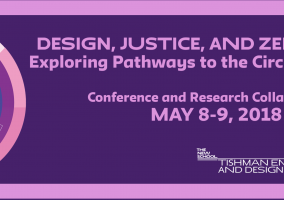 Given the growing use of technology and data, it is important to acknowledge the need to force ethical and responsible use of these forms of capital as well. Question: Does the new product/service use all types of capital responsibly? For when? Are companies innovating for here and now or do they have also any consideration of future generations? I believe they need to move to a more balanced approach, based on the understanding that “sustainability is actually not just meeting our needs and others needs. It’s actually about growth. It’s about inter-generational value creation,” as Bill McDonough suggests. His approach of “having intergenerational assets instead of intergenerational liabilities”, which is manifested in principle #5 of the Hannover Principles (create safe objects of long-term value) he wrote with Michael Braungart 25 years ago, should guide every new innovation. Question: Does the new product/service create inter-generational value? For where? Are companies considering the places where their innovations are used and the impacts of these new products/services on these places? Probably not, as innovations are almost never conceptualized in spatial terms. In other words, there is no real consideration of the impact of the innovation on neighborhoods, cities, regions, etc. This question aims to change it by considering the impact of the new product or service on cities’ resilience. Why cities? They, as Michael Berkowitz, President, 100 Resilient Cities explain “are at the forefront of local solutions to the global problems of climate change and inequality.” For companies, it is therefore crucial to ensure cities are becoming more resilient as cities’ wellbeing goes hand in hand with business’ wellbeing: You can’t have an healthy business in an unhealthy environment. The Rockefeller Foundation’s 100 Resilient Cities defines urban resilience as “the capacity of individuals, communities, institutions, businesses, and systems within a city to survive, adapt, and grow no matter what kinds of chronic stresses and acute shocks they experience.” Companies can look at The Rockefeller Foundation & Arup’s City Resilience Framework as guidance to figure out how their new products/services can have a positive impact on cities’ resilience. Question: Does the new product/service make cities more resilient? Why? As part of the effort to transform the way companies approach innovation, we need to contextualize it within a broader system and make a clear case that a sustainable innovation is one that improves a dysfunctional system. The reason is very simple — we can’t talk about urgency without acknowledging the systems that shape our lives are in urgent need of change. The ‘why we do it’ question or the purpose that (hopefully) drives the work on new products/services needs to be reframed and focus on the real needs of one of the so many dysfunctional systems that shape our lives. Otherwise, what’s the point in innovation? To make it feasible a Yes answer doesn’t require (for now) a radical improvement of a dysfunctional system, but it is certainly more preferable than an incremental change. Question: Does the new product/service improve* a dysfunctional system (i.e. education, healthcare, housing, food, etc.)? *preferably a radical change, not an incremental one. Now, answering these questions will require some effort, but they are not and should not be impossible to answer. In my vision, companies would add this index card to each new product or service they launch. They will be required to provide a more detailed PDF on their website, in which they explain what their replies are based on. Based on the number of Yes answers, we could then rate each new product/service — 5 Yes answers will equal five stars, 4 Yes answers will equal four stars, etc. You got the idea. The next step would be to require every new product/service to have a minimum of 3 stars. While companies will be responsible for providing the answers, it will be the responsibility of its stakeholders to keep it accountable and to look for any misleading replies. The result would be hopefully a virtuous cycle of greater transparency, responsibility and sustainability. This may all sounds like a utopian dream or hallucination given the current dominating paradigm in business, in which innovation usually has almost nothing to do with sustainability, and when sustainability is considered quite narrowly. However, it doesn’t mean change is not possible. I do not think companies can make the shift on their own as they are invested too much in the current paradigm, but if stakeholders demand companies ask and answer these questions and work together to make it happen, it will happen! This is version 1.0 of the index card, which is still work in progress, and therefore I’ll appreciate any feedback you have. Feel free to add your comments or email me here. This article was originally published on Triple Pundit.